We have a GREAT team here at Complete! 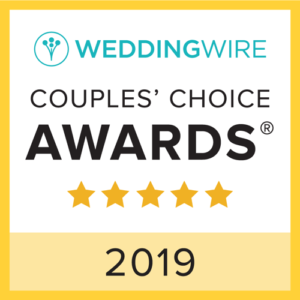 Receiving this award is an honor to us that our couples think so highly of us. We humbly say Thank You. We look forward to serving our future couples on the Biggest Day in their lives with the same professionalism and excitement we have become known for. “We love it, Sarah was amazing, she most of the songs we requested, She was early to be able to fill out any requirements, she was lovely to work with, many of my guest ask me for the amazing DJ” – Bibiana S.
“The team from complete we had for our wedding was amazing! They made our entire night. We had all of their services and they went above and beyond. We are so happy that we choose complete for our wedding. I don’t think we could be more happy than we were that night. Everything was perfect and better than we imagined!” Anne D.
“We have been using complete music for several years. We always have great service and the company is always accommodating. The DJ’s are very easy going and are willing to change things up at a drop of a hat. Love this company! !” – Lisa V.